This entry was posted in holster, pistol and tagged 9x19, Galco, green, keltec, PF9, waist. Bookmark the permalink. 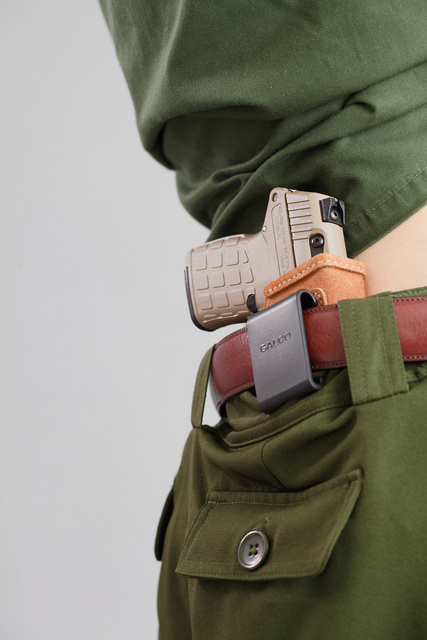 IWB holsters may not need a sturdy belt, but I find that it’s generally more comfortable with one. 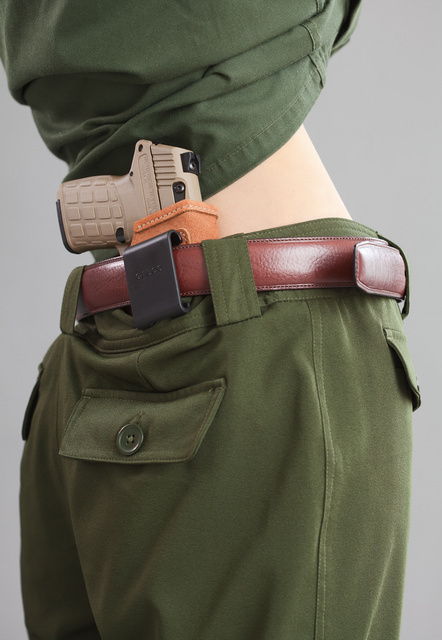 I’m with Dan on this one, a good belt makes a big difference with any belt-mounted holster, although the featherweight pf9 is pretty forgiving as far as “needing” a good gunbelt. I’ll third that. Of course a Glock 30 and spare magazine make a difference. But then I do have one advantage over the lady pictured. There’s considerably more room available on my belt.